Draft Day is FINALLY here!!!!!!!! For me, Draft day should be a National Holiday. I throw Draft Day into the same category as Xmas and my Birthday. You ask 'How can you compare Draft Day to Xmas?! ', and I respond by saying that I'm surrounded by loved ones on both days. One of my two brothers will be joining me on this festive occasion. He's as die-hard about the NFL and the Draft as I am. As a 49er fan though he's not too happy with all the Clausen to San Fran rumors. Somehow he ended up as a Michigan fan, so naturally he's not going to like any Golden-Domers. He is excited that Taylor Mays is rumored to be a consideration with their number 17 pick. We're under 33 hours troops!! St. Louis goes on the clock at 7:32 pm, E.S.T. Let's wrap up the last two picks and wait (im)patiently for tomorrow's festivities. Bill Polian, President of the Indianapolis Colts, was quick to throw his Oline under the bus after their Super Bowl XLIV. Everybody knows that E-V-E-R-Y-T-H-I-N-G revolves around this guy in Indianapolis, so it's fairly obvious that they'll do everything they can to protect him. Heck, they drafted 3 Centers in the 2008 draft!?! That's ridiculous! They thought that Tony Ugoh was the answer when they drafted him in the 2nd Round of the 2007 draft but he hasn't been able to handle the position of guarding Peyton's backside on a consistent basis. Saffold has steadily risen up the draft boards throughout the course of the last few months. He had a good showing at the East/West Shrine week, had a decent showing at the Combine and his Pro Day went pretty well too. Saffold leads the 2nd Tier of Offensive Tackles; it's rumored he might be drafted by Indy's pick. Indy could also add to their defensive line with Tony Alualu (DT), Devin McCourty (CB) or Everson Griffen (DE). Let's head on down to New Orleans where they're STILL partying and celebrating their Super Bowl 44 victory! 2 days and counting...Let's wrap up picks 29 and 30 today. The 2009 Rex Ryan led Jets took the league by storm, surpassing everyone's expectations. The team mimicked their head coaches swagger and gritty determination in route to an amazing season, capped off by an AFC Championship game appearance. The defense in particular was an absolute nightmare for opposing offenses. Led by Darelle Revis, ALL GALAXY (CB), the defense gave teams fits all season long. The defensive line is the oldest unit on the team though and could look to benefit from an influx of youth. Vernon Gholston (DE/OLB) was drafted in the 1st Round of the 2008 draft and has been a complete bust so far. He was supposed to help the pass rush and be used in rotation along the Dline. Odrick is being described as a perfect fit to play the '5' technique in a 3-4 defense. 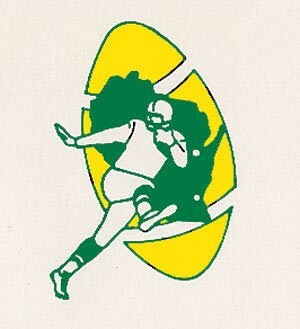 A '5' technique lines up over the offensive tackle and 'consumes bodies' so to speak. They need to be disruptive enough to garner help from either a TE, OG or RB, but they also have to make sure they help keep bodies off of the LB's behind them. Odrick has supposedly caught the eyes of several other 3-4 teams so there's a good chance he won't be available this late in the 1st Round. If he is though, Rex Ryan should quite a bit of fun using Odrick in his schemes. Circle your calendars all!! 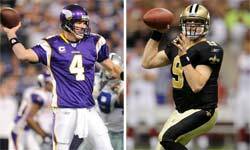 The Defending NFL Champion New Orleans Saints will be hosting the Minnesota Vikings Thursday, September 9th. Further proof that even the NFL thinks that the Greatest Quarterback in NFL History will lace them up for one more season. Commissioner Roger Goddell made the announcement earlier today. Along with that announcement, Goodell said that the last 3 weeks of the regular season will feature 28 divisional games compared to a total of 15 last season. All 16 of the Week 17 games will be divisional games. I hope nobody is having a case of the 'Mondays'... With only 3 days left until the draft let's get down to it. Dallas has needs at offensive line and defensive secondary and most critics are predicting that Dallas will take the best OT available. For those of you who watched the playoffs, you probably remember that once Flozell Adams (Left OT) left the Minnesota game with an injury - all HELL broke loose for the Cowboys. The Cowboys waived Adams this past off season so it's very obvious that they're looking for his replacement sooner than later. Taylor Mays was labeled as a Top-10 pick if he would have entered last years draft but he decided to come back his senior year...Big Mistake. Many of his weaknesses have been exposed this past season. It helped that 4 linebackers that played on 2008's USC team get drafted that year; 3 in the first 2 rounds. I bring this up because Mays was exposed this past season as more was required of him throughout the season and he didn't exactly live up to his billing. Those are the major knocks on him along with his penchant for MONSTER hits which sometimes leads to bad tackling angles and missed tackles. Jerry Jones has been burnt in the past with other safeties, most notably Roy Williams and Ken Hamlin. Mays could be an absolute stud or end up as a complete bust. I think if he's still on the board, Jerry Jones will quickly pull the trigger on him. Only a couple more days until the 1st Round of the 2010 NFL Draft!! The Baltimore Ravens have made it fairly obvious that their #1 off season goal has been to add weapons for Joe Flacco (QB). They traded for Anquan Boldin and signed FA Donte Stallworth during the off season. Adding a young receiver to grow with Flacco will help with his continued development as a top-tier passer in the NFL. Thomas comes from Georgia Tech which is a heavy run-first offense, so he didn't get as much of a chance to display all of his abilities on a weekly basis. When his number was call though, he made sure to take advantage. He is a very big receiver that has breakaway speed. He probably would be rated higher but he broke a bone in his foot preparing for the NFL combine several months ago, so his injury has dropped him a little bit in this draft. With Flacco's big arm and Thomas's speed - defenses are going to be losing sleep with this potentially deadly combo! Welcome to the Weeeeeekend!!! We saw Cincy and The Spy-Gaters select yesterday, so let's get to Green Bay and Philly! I discussed this pick with my girlfriend Lindsay, a rabid Cheese-head fan, and she wasn't too thrilled. Even though she SHOULD have tons of respect for OLineman (considering she's dating one...), she thinks it's a boring pick. She really, really wants to be a member of Mr. Aaron Rodgers' neighborhood so needless to say, anything that will help keep him upright and healthy she's all for it. The Packers know that they have one of the best, young QB's in the league and they want to do everything in their power to keep him healthy. Knowing that the Lions will probably draft this BEAST, they better draft some quality Olineman to protect Rodgers. Happy Friday all! Welcome back to my 2010 NFL 1st Round Mock Draft. We saw a couple of defenders come off the board yesterday with Atlanta's and Houston's picks, so let's get back to it. Gresham will come off the board right around the time that last year's #1 TE prospect, Brandon Pettigrew came off the board. Gresham didn't get a chance to play during the 2009 because he slightly tore his right meniscus days before the start of the season. Gresham is unquestionably the highest ranked TE in this class; he's been described as a Big WR. He's drawn comparisons to Antonio Gates and Kellen Winslow II due to his speed, agility and penchant for big plays - 25 TD's over the '07 and '08 seasons. Cincinnati knows that they need to add some offensive weaponry for Carson Palmer. Chad OchoCinco was their only effective weapon through the air last season and he can't be expected to be the only option this year. They did add Antonio Bryant (WR) in FA this past offseason which should help. Gresham has the ability to really stretch the field, do some damage between along the seams and create mismatches for the defense since he's too fast for LB's and too big for Safeties. HOWDY!! That's what you'd expect to hear if I really was Wild Bill-esque, a cowboy of the Western Plains.....but I'm not, so I'm just going to say Hello and Welcome back. Thomas Dimitroff, GM of the Falcons will be beside himself if Morgan falls to them at #19. Atlanta's biggest need after the season was in the DS but with the signing of FA Dunta Robinson (from the next team in the draft), and the recovery of Brian Williams (CB) they can look elsewhere to help their so-so defense. Derrick Morgan would be a great fit at DE in the Falcons' 4-3 defense. He would be a solid addition opposite of John Abraham and next to last year's 1st Round Pick Peria Jerry (DL). Morgan is sturdy enough to help against the run and he is disruptive in the backfield as well which could lead to a handful of sacks over the course of the season. Atlanta drafted Jamaal Anderson (DE) out of Arkansas in the first round of the 2007 draft to help with their pass rush....he's not been the answer having totaled only 2 sacks in his 3 season career. A lot of the mock drafters have Derrick Morgan long gone by this pick and actually have Atlanta selecting Brandon Graham (DE/OLB) from Michigan at this pick. I think that Morgan could slide because of the 'upside' of Jason Pierre-Paul that has everyone excited. There are the wild cards in Oakland and Jacksonville that could select Morgan as a true DE in their 4-3 defenses so he could be long gone by this pick. I think that Morgan ends up staying in the state of Atlanta though and is drafted by the Falcons. Welcome back all. Huge trade today between Denver and Miami. Denver jettisoned troublesome Brandon Marshall (WR) to the Fish for their 2010 & 2011 2nd Round Draft Picks. San Francisco acquired this pick from the Carolina Panthers last year in the 2nd Round of the draft. Carolina sent their 2010 1st Round Pick to the 49ers for San Fran's 2nd Round Pick in 2009 so they could draft Everette Brown. Brown gave them some decent production last year but I'd be willing to bet that Carolina would love a Mulligan on that trade with how loaded this draft class is. This guy is just under 6' 6'' and he tips the scales at about 331 pounds. Frank Gore and Alex Smith would just LOVE to see Iupati join the 49ers. He can play almost anywhere along the offensive line; he even got some reps at LT during the Senior Bowl week. He is a Road-Grater and a Beast. He would join San Fran and start Day 1! Happy Tuesday all. Welcome back for the next two picks of my 2010 NFL Mock Draft. Hopefully everybody had a good weekend with the gorgeous weather we had in and around central Ohio. Big Trade over the weekend that saw Santonio Holmes (WR) Pittsburgh get traded to the New York Jets for ONLY a 5th Round Draft Pick. I think the trade definitely effects the draft but not until we get into later rounds for both of the respective teams. On 4/14 I will have the Steelers selecting an O-Lineman and I don't believe my thinking will change over the next two days. I've had quite a hard time deciding on this pick, particularly since I've discussed it several times a week the past few months with my youngest brother who is a GINORMOUS San Francisco 49ers fan...no seriously, my brother BEN is HUGE!!! Dez Bryant is this draft classes' premier WR talent. Dez Bryant is being compared to Andre Johnson and Randy Moss because of his size and athleticism. He does come with some red flags though that some teams are leery off. I think that Denver might need to trade up though if they really want Bryant. Welcome back for picks 9 & 10 of my 2010 NFL 1st Round Mock Draft. It's a gorgeous Saturday, and I want to go outside and toss the pigskin, so lets get to it. If you recall from several of the earlier picks, there was a nice little run on offensive tackles followed by a couple of safeties with the last two picks. I believe that Buffalo has a very tough decision to make with Jimmy Clausen still on the board. Hopefully Buffalo can look at past results of teams throwing a rookie QB behind a subpar offensive line, and actually take a building block for their young, inexperienced line. I think we'll see Jimmy Clausen take a tumble through the 1st round, a la Brady Quinn and Aaron Rodgers. As recently as two months ago, Davis was considered one of the best OT's in this draft. Questions have arisen since then about his love for the game, his dedication, and whether or not he's got the drive to succeed in the league. His combine results weren't anything to rave over, and there were even some red flags at Rutger's Pro Day. He bounced back with a pretty good individual workout and some think it'll be enough to get him back into the top 1/2 of the 1st round. My girlfriend's dad is a Buffalo Bills fan and we've had the 'pleasure' of sharing in our individual teams' miseries. I asked him who he'd like to see Buffalo draft and he said whoever will make the team better. He's not exactly thrilled at the idea of Clausen, but then again if he makes them better he'll be happy. There has been quite a bit of change from the end of last season. We got a new Czar of football operations, his name is Mike Holmgren....maybe you've heard of him?! Despite all of his accomplishments and credentials as a head coach, he sports one of the best NFL lip-caterpillars of ALL TIME!! Holmgren has come in and put his 'touch' on the organization jettisoning quite a few players including one-time local Dublin, OH product Brady Quinn. Holmgren has brought in some former players and savvy veterans via Free Agency, and he's also been busy trading with various teams to make Cleveland better overall. For the last 6-8 weeks or so the majority opinion was that Cleveland was going to select Joe Haden (CB) from Florida. That went out the window when Cleveland traded Alex Hall (OLB) and a 4th & 5th round picks in this year's draft for Sheldon Brown (CB) and Chris Gocong (OLB) from the Philadelphia Eagles. Both of these players should start from day one. Sheldon Brown is a former All-Pro who is expected to supplant Brandon McDonald at one of the CB spots, leaving Eric Wright as the other starting CB. The Browns could still take Joe Haden because he's considered the most NFL ready CB in this draft. I expect the Browns to entertain some trade offers because Eric Berry and Jimmy Clausen would still be on the board in my draft scenario. If a QB hungry team thinks they need to pull the trigger on Clausen I fully expect the Browns to trade down, similar to last season when they traded down several times before finally selecting Alex Mack (Center) from California. With Washington's pick of Russell Okung at the number 4 spot, I expect a run on Offensive Tackles. We all know that the cutesy-wootsy wittle QB's get all the attention, but deep down anybody that KNOWS football realizes that Offensive Lineman are the key to it all. With that being said I expect Scott Pioli (Chiefs' GM) to continue building his football team from the inside - out. This means that offensive and defensive lineman have a higher priority than skill positions. Now on to Seattle's pick at #6. Welcome back for picks 3 and 4 of my 2010 NFL Mock Draft. Tampa Bay is sitting pretty at the 3-hole because they're going to have some options if teams want to trade up and possibly grab Eric Berry, Jimmy Clausen, or Russell Okung. If TB keeps the pick, I believe they take the knifing Dlineman Gerald McCoy. McCoy and Suh both are problematic for offensive lineman, and I'd have to give McCoy the slight, slight edge in pass-rushing situations. TB gets a solid defensive lineman for the next decade that could help recapture their former defensive edge. Up next the Washington Redskins. Washington just shocked the world this past Sunday with the announcement that they just traded for Donovan McNabb. Several suitors had been listed for Donovan's services, but the Redskins flew under the radar and managed to give Philadelphia quite a deal. Welcome all! 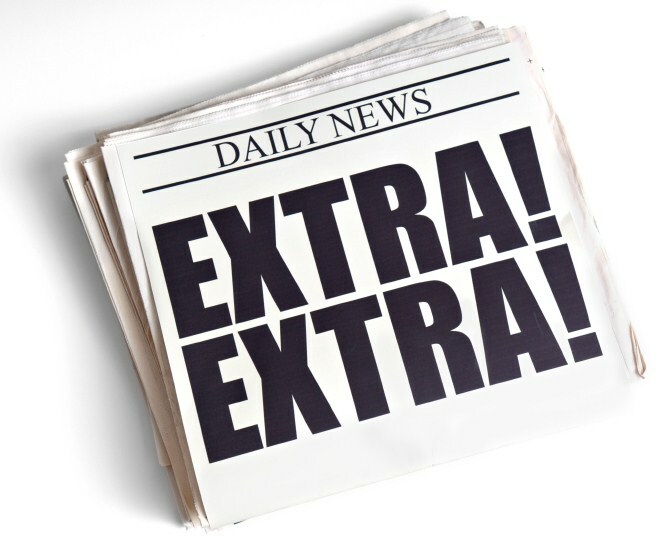 This is my first foray into the Blogosphere, so I appreciate your time! 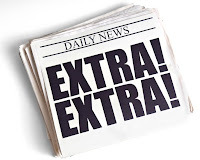 First of all, I would like to thank Rob Harley for inviting me to be a contributing member on his blog. In the coming days and weeks, I will be analyzing the NFL draft needs for all 32 teams. I will offer opinions and insight, along with my dream scenario for my beloved Cleveland Browns. I'm sure everyone has seen mock drafts out there, some detailed and with sound logic, and some that look like the author just drew names out of a hat. I'll offer my own mock draft on here with my reasoning and I look forward to feedback. The draft process is a very fluid and dynamic adventure. Teams are working on their draft boards year round, with scouts visiting campuses across the nation throughout the year. Once the season is over, the 'Draft Season' kicks into overdrive with the Combine and individual Pro Days garnering the largest audiences. Prospects can slide up and down a teams' chart very easily, sometimes something as small as .2 seconds on a 40-yard dash can mean the difference of a top-10 pick and a 2nd rounder. Now that Free Agency has come and (mostly) gone, the Combine is over, and a decent amount of the Pro Days have been completed, it's time to really look at the 1st round. Join me in welcoming a good friend and a new author to The Huddle, "Wild" Bill Eiseman...and as an ex-O lineman he knows his way around a huddle. Wild Bill will be lending his insights on EVERYTHING football. His main expertise lies in NFL breakdowns, but don't be surprised if he gives us an inside look at "The Trenches." 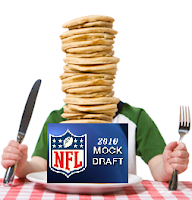 First up on the big fella's menu, next to a heaping pile of pancakes, is a mock draft for the upcoming 2010 NFL draft. He'll take us through the first round with two picks every day leading up to draft weekend (April 22-24). I'm excited to have Wild Willy "in the huddle", this truly is a tale of beauty and the beast...a handsome beast at that.